An executive from a big four bank has weighed in on recommendations outlined in the Productivity Commission’s final report, which proposed the removal of trail commission and the broadening of licensing provisions to enable financial planners to offer credit advice. 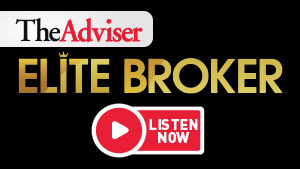 Speaking to The Adviser, NAB’s executive general manager of broker partnerships, Anthony Waldron, has defended the existing broker remuneration model, warning that the Productivity Commission’s (PC) call to ban trail could have “unintended consequences”. Mr Waldron made note of the positive effect that trail commissions have on service affordability and on enhancing competition across the banking sector. “I think there are some questions that get raised off the back of that recommendation,” the EGM said. “We [NAB] believe that commissions make broker services affordable to customers, and that they create some alignment between the lender and the broker. Mr Waldron claimed that trail commissions incentivise brokers to produce good consumer outcomes, warning that removing trail could increase churn to the detriment of borrowers. “Trail commissions are there to both help place customer in a loan that is not unsuitable for the longer term, but also to recognise the services that a broker will provide on an ongoing basis,” Mr Waldron continued. “There’s a risk in some of the discussion around unintended consequences if you were to remove trail. “[Brokers] might end up in an environment where [they’re] having to write more loans and constantly having to rewrite loans, which may not be in the customer’s best interests and could actually create more costs for lenders and brokers, and ultimately, therefore, potentially customers. Mr Waldron was also asked if NAB supported the PC’s recommendation to extend provisions under the Australian Financial Services Licence (AFSL) to include credit advice. The NAB executive said that “it’s probably a bit early to comment”, claiming that the bank would need to see the “specifics” of the recommendation, but highlighted the strengths of existing arrangements, echoing comments made by Mortgage Choice CEO Susan Mitchell. “I think that if you look at a lot of industry models today, there are a number of officers that have both broking and financial planners operating out of them, in an environment where they have both an ACL and an AFSL — and that’s meeting customer needs,” Mr Waldron said. Mr Waldron is also chair of the Combined Industry Forum (CIF), which released its interim report on Monday (27 August), outlining the progress that the CIF has made in introducing broking industry reforms.